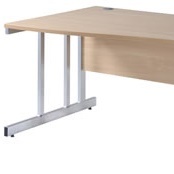 Corporate office desk left hand return. 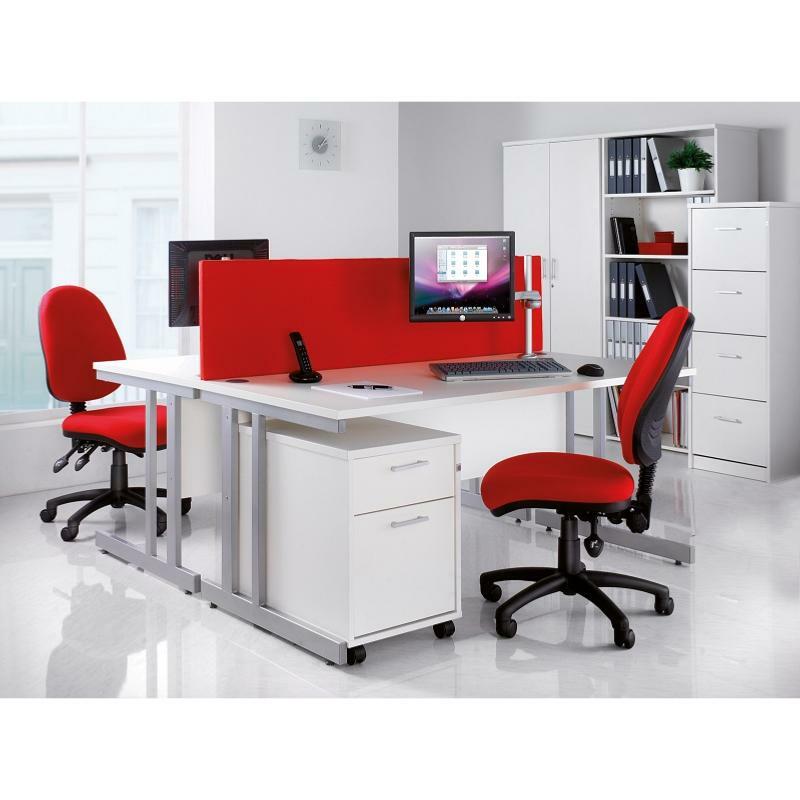 Ideal combination of style, performance and affordability. 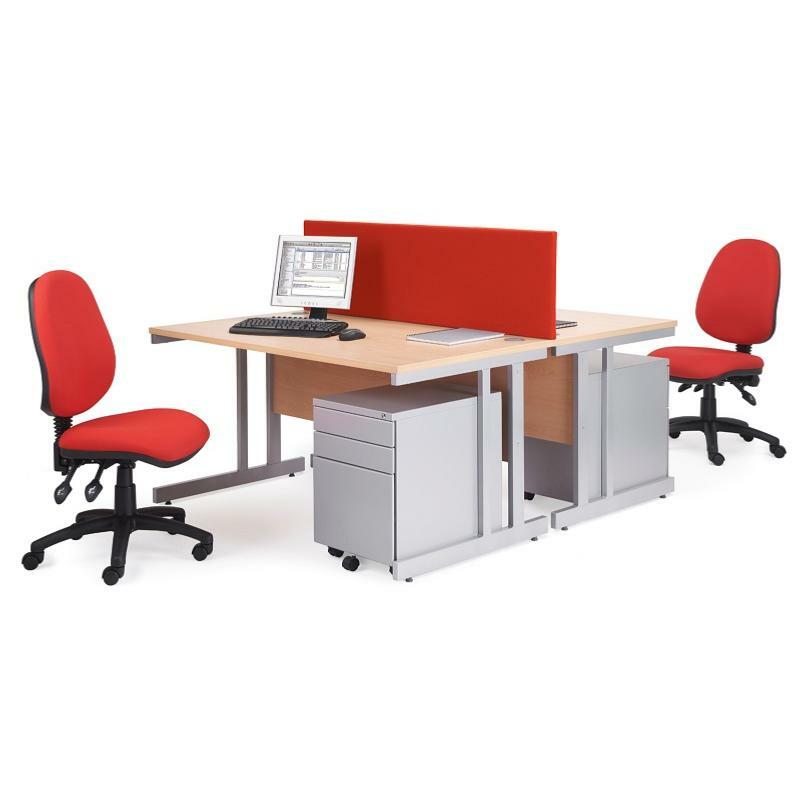 Designed to cope with business fast pace demands. This modern twist on a great classic is form and function personified. 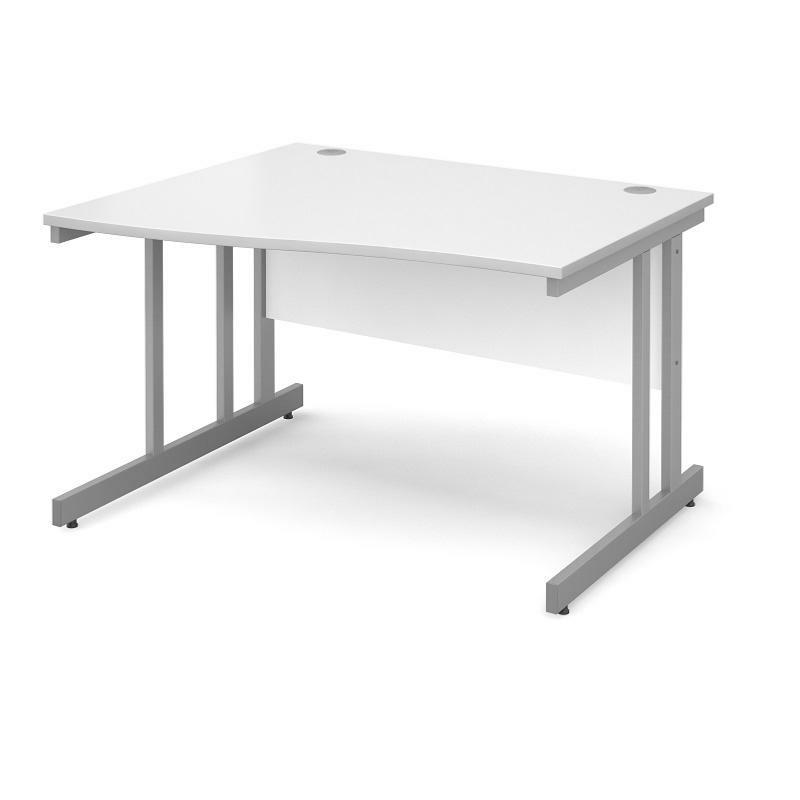 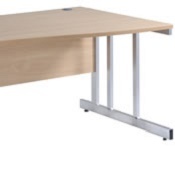 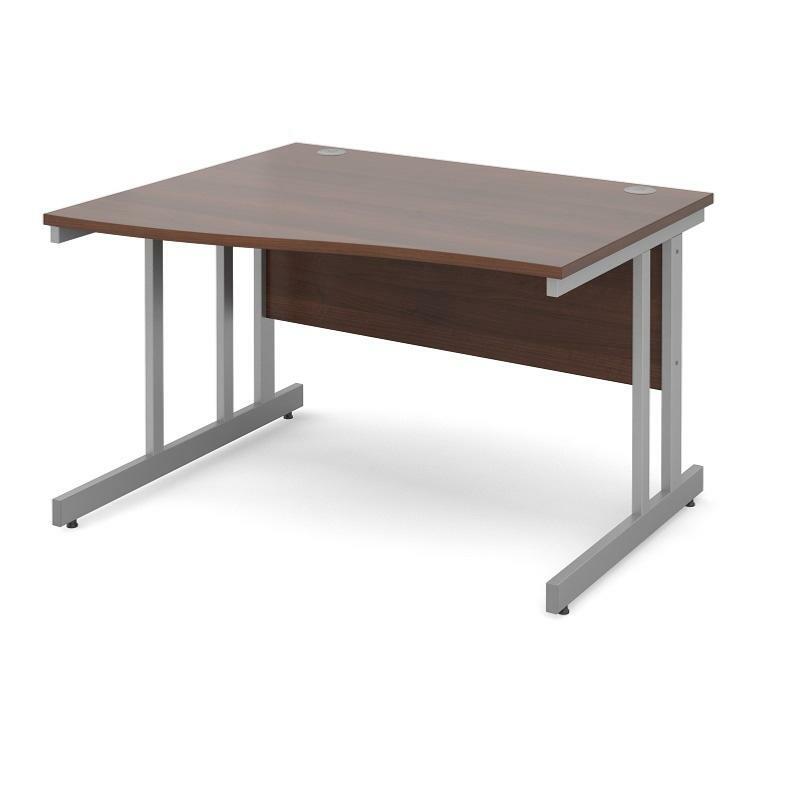 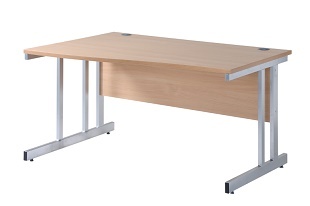 With its robust yet stylish cantilever legs frame with levelling feet ensure maximum stability and modesty panels with scalloped cut outs to allow for neat cable tidy management. 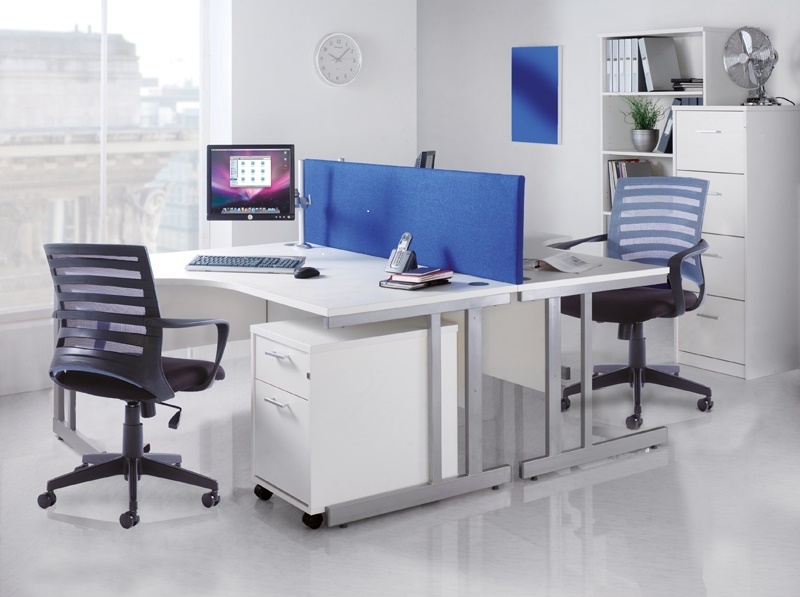 Contact us if you need further information on office furniture and our team will be pleased to help.